How cute are these daisy stud earrings? 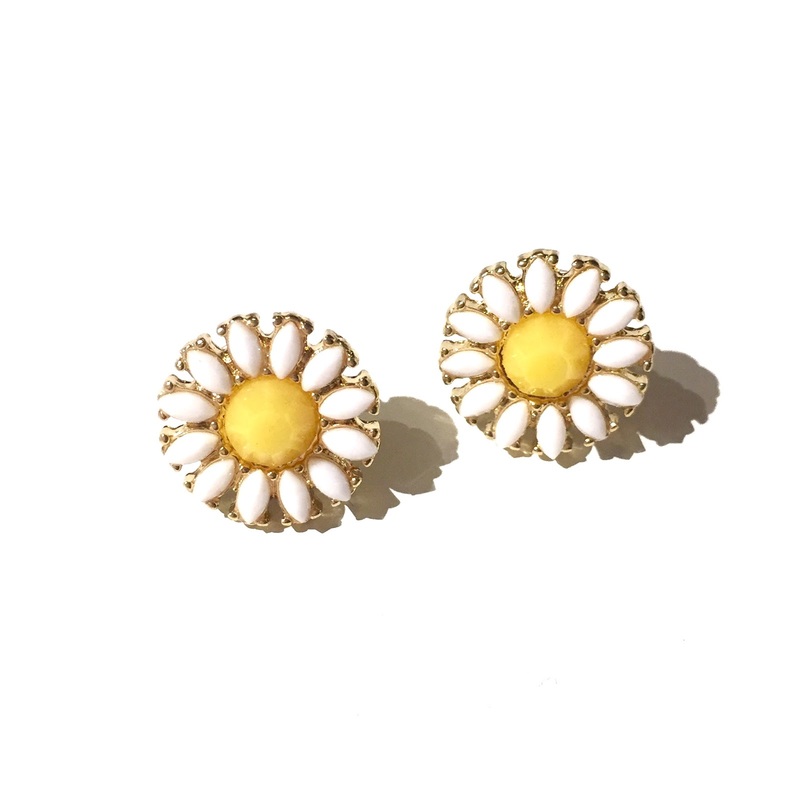 They are the perfect summer addition to my earring collection and I can't wait to wear them! I love a good statement earring, but sometimes, they are a bit on the heavy side. These ones are big enough that you can tell what they are, but are small enough to not weight you down. I found these beauties at Chicwish and just had to add them to my cart. There are actually plenty of similar ones out there, I've linked some in the widget below! This past weekend, we decided to have a movie date-night. When looking up what was playing at our local cheapy theater, we came upon La Bolduc. I was sold! For a bit of background info, Mary Travers (aka La Bolduc) was a French-Canadian signer/composer. 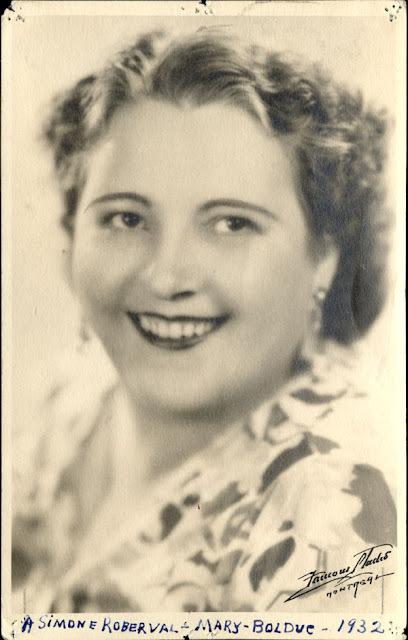 The height of her career was during the 1930s and she is often recognized as one of Québec's first ever singer/songwriters. What really resonates with me is that she is from the same area as my maternal grandmother, Gaspé. I also grew up singing many of her songs during the holidays as my dad is a Quebecer and a huge fan of her upbeat comedic tunes. I've linked to a YouTube playlist for those interested in hearing her songs! I really enjoyed the movie and the actress portraying the main character was phenomenal! It actually reminded me of another movie about a Quebec signer in those days, Ma vie en cinémascope about Alys Robi. I am a sucker for polka dots and this vintage-inspired swimsuit if giving me all the feels right now! I'm really loving one-piece swimsuits lately and I could not pass up with beauty. A classic navy background with white dots and a halter neckline. It makes me think of something a pin-up girl (or Marilyn) would have worn. The best part is that I got it for a steel! It cost me all of $9.99! The quality is not the greatest, but what can you expect for that price? I'll be happy if I get a couple summers out of it. I've linked some similar pieces in the widget below. I cannot wait to have an occasion to wear it with big sunnies and red lips! 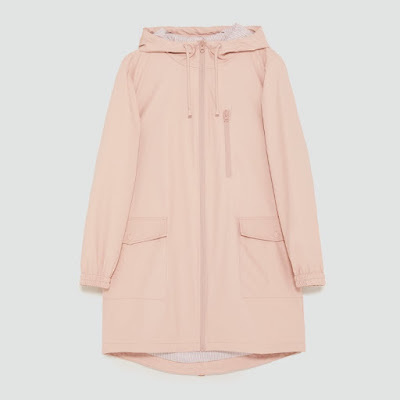 I randomly wandered into Zara the other day and came upon this adorable blush rain coat. It so happens I don't currently have a water repellant coat and this rubberized one is perfect! Not only do I adore the blush hue, but the finish seems heavy-duty enough to keep me dry during a downpour and the back is long enough to cover my bum, which is essential when sitting on wet benches at the bus stop. I swooped it up because you never find a good rain coat when you need one! Turns out, I wore it home the very same night and wore it the following couple of days. It was a rainy week and I already wore the coat three time. I'd say that was a good purchase! Switching from rain to sun. I had spotted this hat at Simons a few weeks ago when shopping with my aunt, but had passed on it. Well, as it happens, it's been on my mind ever since. I decided to go see if it was still available and I was in luck! My straw hat collection is growing, but I justify them by saying they are more than an accessory because they protect you from the sun and heat (to a certain point). 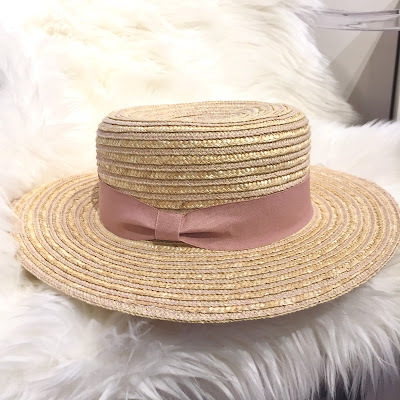 This one is particularly adorable as it has a blush ribbon and there is even some blush thread or strands throughout the straw. This gives makes the pink stand out even more and differentiates it from the rest of my hats. I am excited to wear it with a breezy summer dress! Like the hat? Shop it below!